When you tell someone you're going to Tonga most think it's in Africa. It sounds like it, doesn't it. I did not know about this place until we reached the South Pacific long time ago. Little did I know about the South Pacific other than those catalogue pictures with white sandy beaches and palm trees growing over the beach for you to sit on. 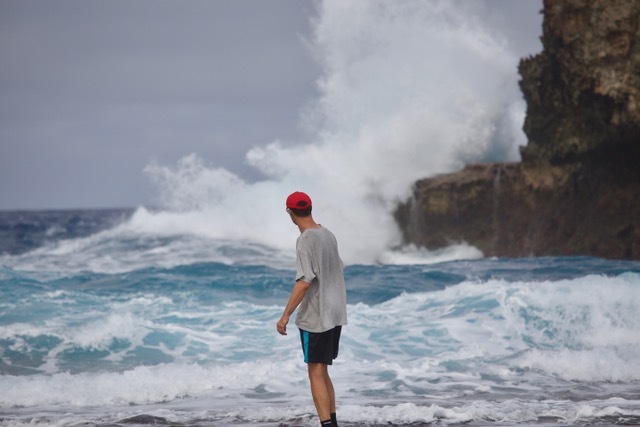 I had looked for those beaches everywhere during our first trip but could not find them until we first came to Tonga in 2013. And little had I seen then compared to what I have seen now while my brother was on board. Tonga reveals its full beauty once you really have quality time to spend here and go explore all the islands. Winds from different directions and strengths force you to move quite often so you can't get stuck. Every island group has lots to offer in different ways. 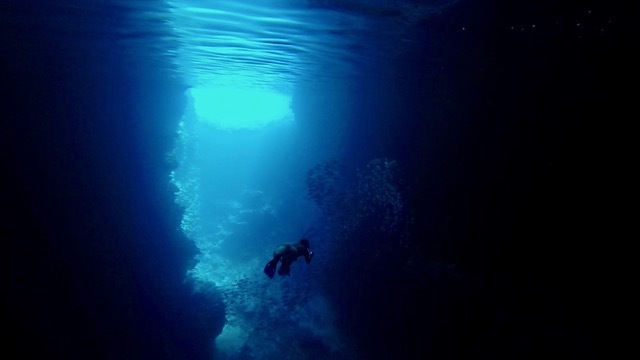 Tongatapu in the very south has the best (veggie) supplies, amazing blowholes on the east coast and wreck snorkling / diving on the next islands out. Also it has beautiful 'Eua island in its vicinity – a paradise for lovers of green nature, birds and cliffs. Ha'apai features all these catalogue islands I was dreaming of. It is the biggest island group in the area that it covers, has the clearest waters, best fishing grounds, some good snorkling, Kiteboarding and Windsurfing and you can walk arond all the islands. Ha'api stands for peace and solitude. There are some really charming „Resorts" out there. Small places with 5-10 huts for guests and relaxing peace guaranteed. 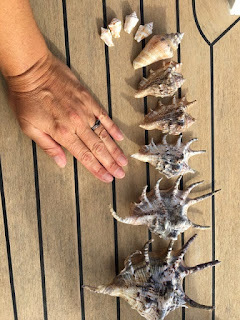 There are only 2 downsides in the Ha'apais from a boating point of view: the very limited supply sitauation especially in fresh produce and the more or less rolly anchorages. But you get used to it. „Bar live" at the resorts makes up for that if you want a change. Also in Pangai, the main town, there is a nice Café with decent prices for good food, run by a Dutch lady. 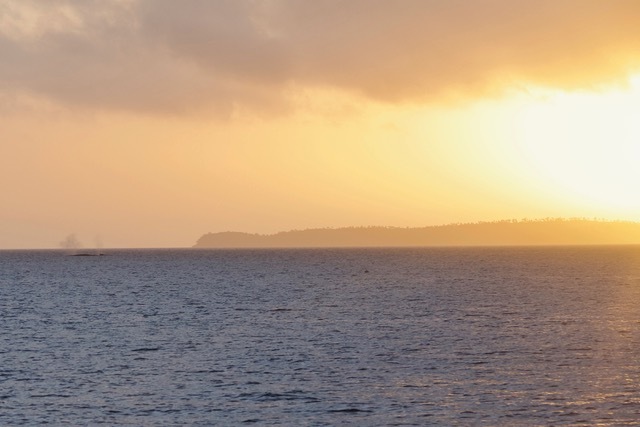 Having spent precious time in Ha'api it does not cease to surprise me that the vast majority of cruisers never sails past the Vava'u group, which is the most famous one, equally for land and boating tourists. 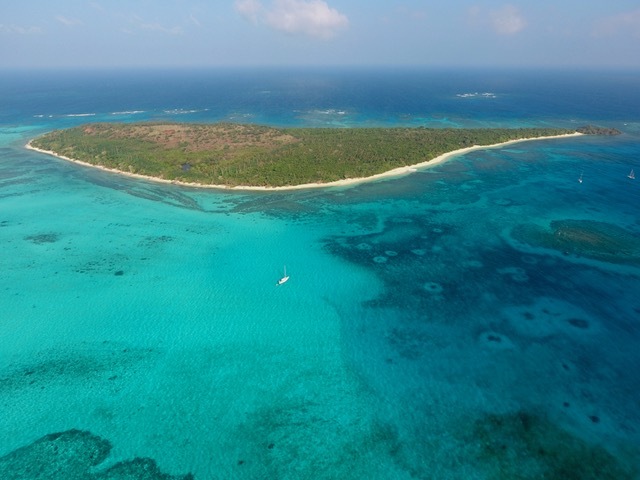 It is a divine place, no doubt, with calm anchorages, blue lagoons with clear waters, islands with a calm side and a surf side, amazing caves to swim and dive in, hills to walk up to, lots of bird life, coral gardens for the ultimate snorkling experience. Also here are the most hotels, a decent veggie market, shops where you get the bare necessities in food and daily life, a shop which custom prints T-Shirts (screen printing) with Tongan designs or your own design and some decent restaurants and cafés. Not to forget the radio net every morning at 8:30am on channel 26 with all the important information about happenings and where to get what. At the end of the net there is room for trades like „looking for", „giving away", „exchanging" which has not rarely saved a cruiser's day by getting desperately needed parts off another boat or from some local. That makes Vava'u a big community and that gathers people. To the north of Vava'u is one more island „group" which consists of Niuatoputapu (where until now I shot my only whale breaching picture in 2013) and a volcano island. Only about 600 people live up there and pray in about 7 different churches. The women are all into preparing the Pandanus leaves for weaving and the men bring home food. Net ball, a NZ / Aussie way of playing football, is popular up there. People are lovely up there, it is a very remote place but with no beautiful beaches or any other activities. Whales are actually the 99% reason for tourists to come to Tonga. Because you can swim with the whales – if you are willing to pay 400 Pa'anga (about 140€) and your tour guide finds them. Whale season is July through early Ocotber, but mainly End of July to End of September. Most whales reside in the Ha'apais though you can find a decent bunch in Vava'u as well. Except for the far north we have seen all the good places with my brother in those 8 weeks he has been on board and I believe the has taken home many new skills, lots of knowledge and cultural experience. He has become a pro in finding and opening coconuts for drinking and for eating; he learned how and where to fish, which fish to eat and how to fillet them, where to find lobsters, how and where to snorkel. He learned about the different kind of reef fish and shells and who lives in these shells originally and later in their existence. 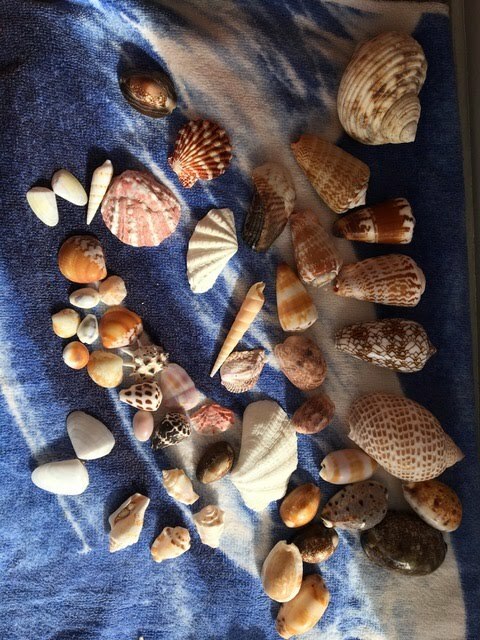 He learned about the colouring artwork of the shells and the changes of it during their lifetime in the water and on beaches. He learned that cars can still drive with broken axles and when rust and tape holds the car together. And, unfortunately, he saw that the influence of the „industry world" changes culture and life – mostly not to the better. All of a sudden there is need for money where the people were able to live fairly independent and self contained. There are some good aids from other countries, but they all come at prices. Main influence here is by China and Japan. In return they want the fishing rights, which in return makes the locals suffer because the fish are decreasing at high speeds soon leaving the locals with not enough fish to feed and then they have to buy the canned fish – imported from China. That's already daily life in Samoa, French Polynesia, Vanuatu and probably so many more pacific island which still have (had) an intact sea life. The fishing rights here have been given only for the outer zone, not coastal, but the Chinese often don't oblige to these rules and there are not too many possibilities of controlling it all. Just recently a Chinese fisherboat has been confiscated – fish and boat. But that's just a drop on a hot stone and very sad to see. Though it seems to me that the consequences are a bit tighter here than in the other places I have seen. In comparison to that the aids from USA and Europe „only" come with the hope of having a partner in the Pacific (and who knows what else happens behind the scenes). Culturally we experienced the celebration week of the 70th birthday of the king with military tattoos and agricultural show, where we got to see him very close. We saw how the people can celebrate with lots of laughter and hold incredible feasts; that a simple life is not a bad life (if you can grow and fish your food as good as you can do it here in Tonga); that tradition, strong (family) community and positive believe makes lovely and openhearted people (although even here typical „disturbances" like drugs and alcohol can't be denied); that being in the navy / army in Tonga does not mean you can't do funny shows. We saw the three Tongan navy ships. We saw that all these free running pigs here in Tonga don't care about feelings and dignity and feed on graves. Most of all we experienced a culture of „live and let live". As long as you respect each other and the culture and don't hurt anyone (and of course pay tax and oblige to the few laws) you can live the way you want, build the house you want and drive the car you want (or what is left from it). 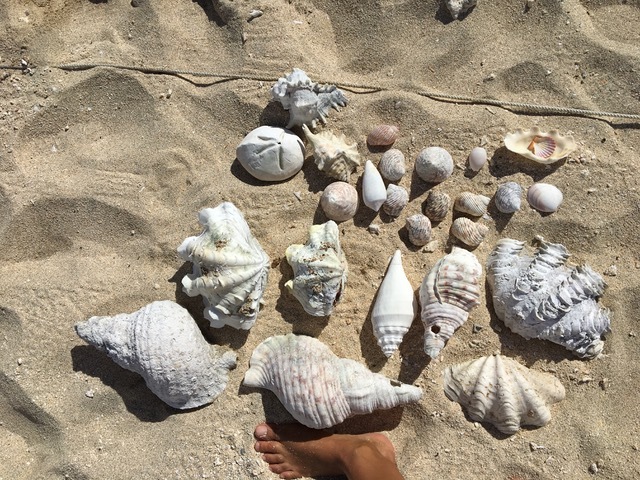 So my brother took home lots of good memories (I hope), beautiful shells (which are not under protection) – and a set of Tongan license plates from the original owner. 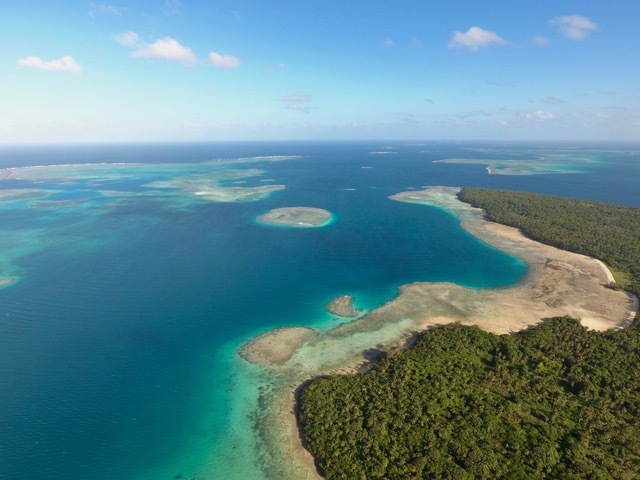 Lets hope Tonga remains the beautiful place it is and that tourism stays as eco and individual as it is for the sake of the country, its nature and its beauty. Malo Tonga for the wonderful times here. Love you forever.